I just finished reading the most INSPIRING book by Dr. Wayne Dyer called The Power of Intention... My hubby brought it home from the library because the tag-line grabbed his attention. Learning how to co-create your life. It got mine too! I decided to read it first and I couldn't put it down. This book was so enlightening, and refreshing that I am recommending it to all my readers in the spirit of it being a New Year with endless possibilities for us all. Every town in New England has something special going on for the holidays. Halifax is special to us. This is the town my husband grew up in. His brother has served on the Halifax Fire Department for 30 plus years. The same fire department where his father served as a volunteer fire fighter until he retired at 65 and where his family was rooted in farming along Rt 106 when it was still a dirt road. Not the paved main Rt. through town like it is now. 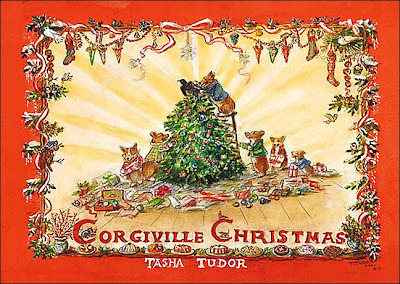 We didn't know much about Corgis other than the cute stories we had read about them in Tasha Tudor's Corgiville Christmas.We loved all of her story books and I became especially intrigued by her life as an artist on her very own idealic farm. When it came time ( or should I say, when we finally caved in and said YES to a dog ) we did our homework and decided that Corgis were the dog for us. Medium in size, big in brains, and energetic enough for long walks on the beach, but loyal enough to be a much loved family companion. I love the color Red! It's my color. Period. I love wearing it. I love a room painted with it, I love it on cars, front doors, cottages, barns, coats, boots, blouses, and bathing suites. The list of names for red in the paint world are endless. Candy Apple, Chimaya Red, Cottage Red, Barn Red, Chili Pepper Red, Cranberry Marsh Red, Log Cabin Red, Rustic Red, Chinese Red, Auburn Red, Rasberry Red, Ravishing Red, Strawberry Red, Tomato Red etc... The color red is one of my best friends. I can always count on red to cheer me up if I wear it on a gray day or to spice things up in my decorating scheme if things start looking a little tired. My Aunt Nan listens to her inner voice and creates teddy bears that have a history. It wasn’t always so. Nine years ago, she walked into the back yard and it was like a voice said, “you’re going to need a place to go when you retire.” Although she wasn’t ready to retire for a number of years, the idea of a “place to go” became a project for her husband, Harlan. 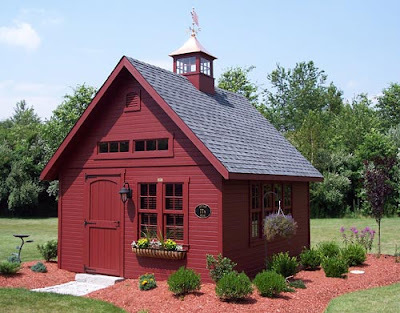 “There was an old apple tree in the corner of the yard and, on that spot; he built a studio for her. Their daughter named it “The Apple House”. It has all the comforts of home…lovely to work there even when the snow is falling and the wind is howling. She is as “snug as a bug in a rug”! Thanksgiving is right around the corner and you know what that means. Soon we'll be trading in all our warm festive fall decorations for more greenery and sparkle which I am looking forward to but I don't like to rush the seasons around here, much to my local big box stores dismay. Every year they try to entice me with all the new and improved " made in china " stuff they hope I can't live with out but I stayed true to my own ways and went rummaging around for things I could re-invent, re- arrange and re-use right here at home! My fall table -scape is simple but does the trick for adding some color and it's all stuff I already had. The lantern and glass candle sticks are Target original's I have had for a few years. The handpainted tray was a yard sale deal. I paid 10.00 dollars for it and tucked it away thinking I might hang it on a wall in our dining room but I just never found the right place for it.. I love it as a foundation for the lantern and candle sticks this year! I enjoy adding nature's gifts to my decorating themes so I went scavenging in the back yard for pinecones, and found a few varieties as well as a few cut rounds from logs we have burned in our out door fire place. Free and festive! So, before you head out and run up your credit card... do some rummaging of your own. You might be surprised at what would make-do one more year! It's a great feeling to re-use old things in a new way. Each time you do not only will you remember past occasions, but you will be making new memories to last a life-time. Susan Slowey lives in the Ellisville section of Plymouth, MA. 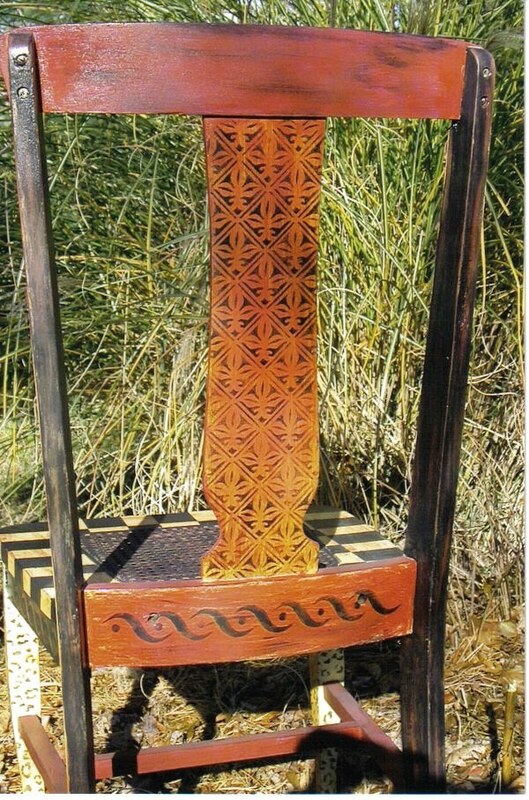 She has been teaching art to children and adults for many years. This year she opened her schedule to give more people a chance to see art as a way to open their eyes to the world around us. Sue says, “I believe everyone has creativity”. There are learned skills and techniques that can be learned at a young age or older if you have never given it a try." Since I was a young girl I have loved antiques, old houses, and places with a sense of history. 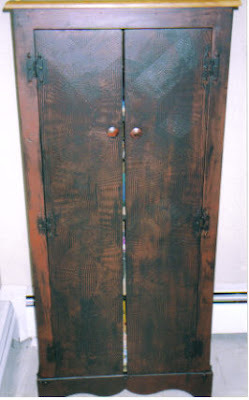 Maybe that is why I am attracted to antiques and vintage furniture as my canvas. It is usually the shape that captures my attention first. An elaboratley turned leg, a curved drawer or the entire form of a piece in general will strike me. I am a romantic at heart and perhaps my need to “rescue” these pieces of the past and give them a new life in these modern times is my way of preserving ( or holding on to ) the past in some small way. “Creative Recycling” has been alive and well in my family for as long as I can remember. It’s just more fun to rearrange the things we have than to go out and buy something new...My Great Grandmother, Lucille once spray painted her entire car in an afternoon back in the 70's but that's a story for a different day! When I was a young girl my mom shopped flea markets and yards sales long before it was the "green" thing to do. She brought pieces home and worked her magic on them in our suburban two car garage. I distinctly remember spilling nail polish remover on the top of the freshly painted yellow desk she created for me just days after it was moved in to my room. I cringed as I watched the paint bubble and then peel…And that’s the way it stayed until I gave it new life many years later. My daughter has that very desk and dresser to boot in her room now. They have been reincarnated to suit her taste and she loves that they used to be mine. I hope she will treasure them as I have and with a little luck perhaps they will find their way into her home some day. 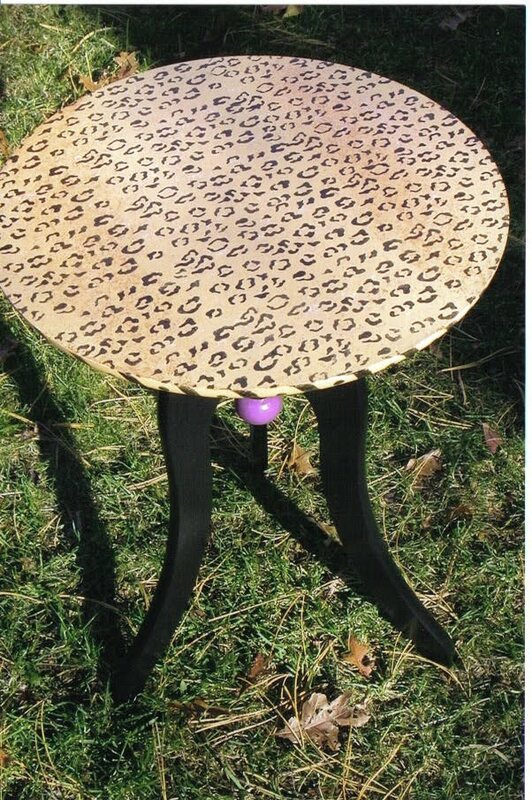 We still recycle furniture for fun! We call our pieces Painted Ladies. We never quite know what each piece will look like until we are finished! We always start out with a specific color palette in mind, but in the end it is the pieces them selves and the way the colors "talk" to each other that tell us what to do next! This vintage china cabinet came to me by way of a local consignment shop! As soon as I saw it I knew I had to bring it home and paint it. I loved all the regal details on this piece so I decided to make a departure from painting with latex paints and grace this piece with the glory she deserved! 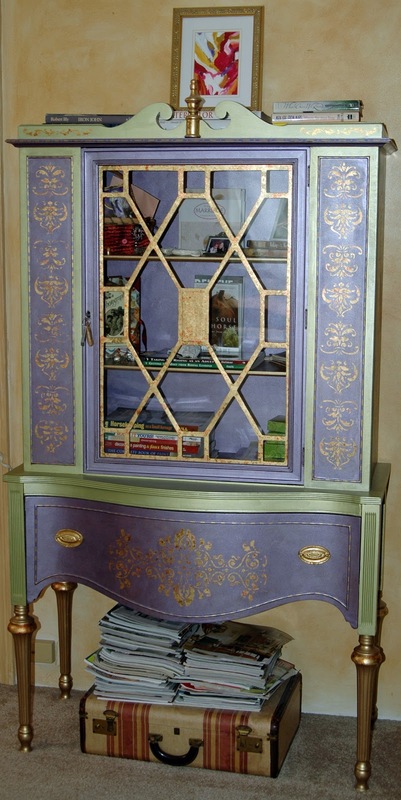 I used metallic paints and variegated gold leaf flakes for the decorative work. This Painted Lady goes by the name Lady Violet now! 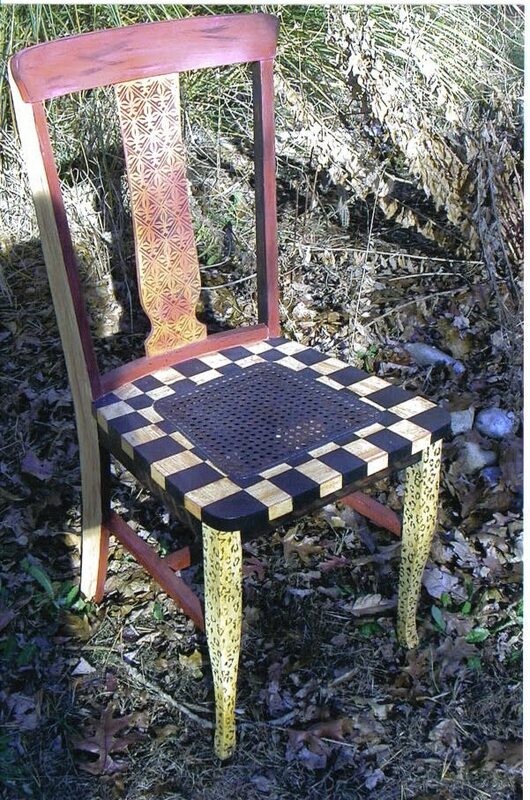 I think living with one -of -a -kind hand painted furniture, brings character, charm, and a uniqueness to your home that simply cannot be manufactured. Each piece brings with it a sense of history, but lives on to tell new stories through the use of color, pattern and function. Ultimately your hand painted furniture will be what ever you want it to be… A fun conversation piece, a family heirloom, or perhaps it conjures memories of places traveled, or un- traveled. You decide! Best of all, they don’t have to match. In fact, it’s better if they don’t! I'm conjuring up some new fresh designs for spring using Old Fashioned Milk Paint. 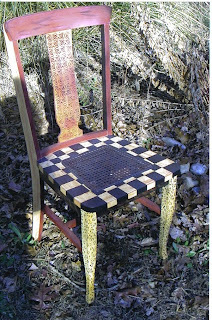 In the meantime tell me, what have you clever farmgirls creatively recycled lately? I'd LOVE to hear about it! To learn more about the metallic paints that I used go Royal Design Studio and click on Modern Masters under the supplies tab. 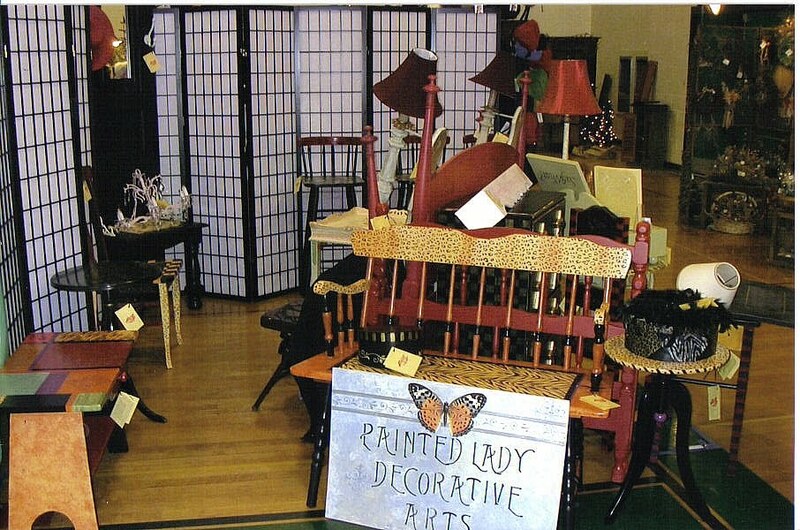 I have gleaned much info from this site for my decorative painting endeavors. Melanie has a You Tube instructional video on her blog about how to using sheets of gold leaf with stencils. 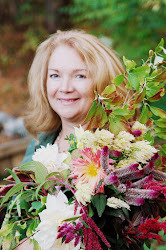 Go to Melanie's blog for amazing decorative arts ideas and inspirations! I'm linking up with Miss Mustard Seeds Furniture Friday! Go check it out for more fun re-purposing ideas! 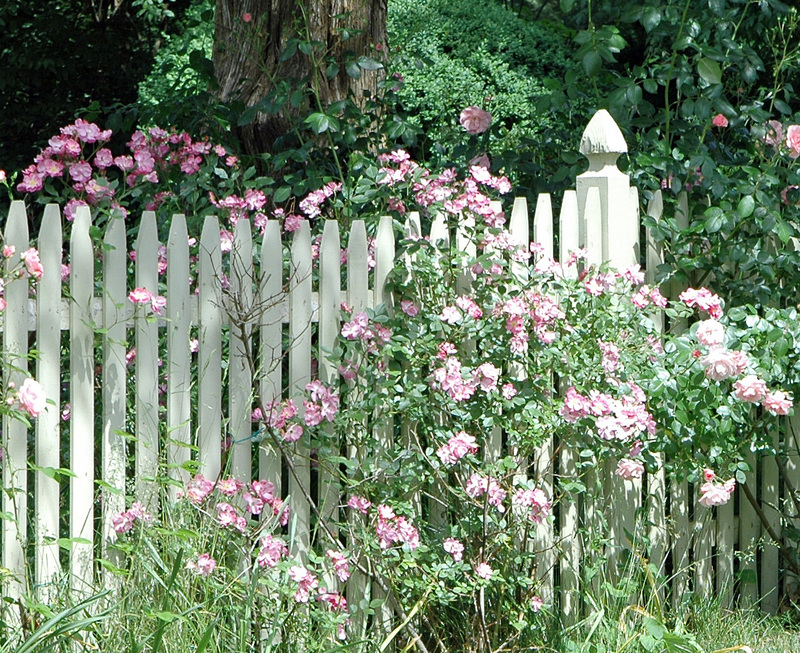 I don’t know why I am so charmed by the sight of a picket fence. In fact if I happen to see one that is showing it’s age with peeling paint, leaning to one side or the other I like it even more. I grew up in Reno, Nevada where suburban sprawl has all but replaced the ranchers who first settled its low lands at the base of the Sierra Nevada’s. Even so, picket fences had their place. It was only in the heart of the old south west section of town where brick bungalows, Cape Cod Cottages and English Tudor homes line the city streets that you could get a peak at a real picket fence or two. What a site for sore eyes they were too! 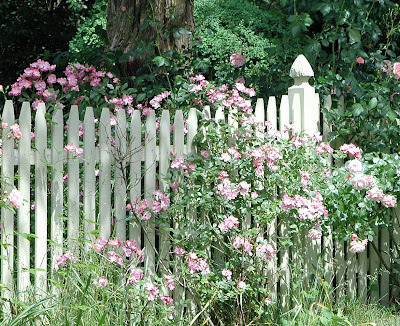 Just as you might expect, those pretty pickets were surrounded by the usual traditional mix of cottage- like flowers and the occasional rose bush or two. 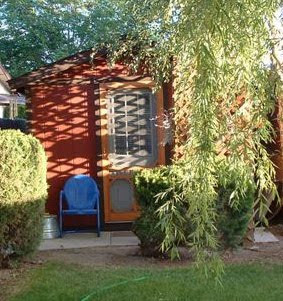 I was always infatuated with that area of town and eventually moved into one of those bungalows with my husband. We lived there while we saved enough money to buy our first home which we were blessed enough to do. Let me just say, neither of these homes had picket fences. The bungalow had a long hedge of tall billowing lilacs that you could smell half way down the street on a spring day and that seemed to keep my mind of picket fences for a while. We were young and in love and pickets weren’t at the top of my wish list… then… Fast forward many blessed years later. Sometimes it's the things we "don't" plan on that work out the best. Last fall while preparing the soil for our Bird and Butterfly garden we tilled in some of our home made compost to the new area and waited until spring to begin planting... Much to our surprise around mid June some volunteers began to sprout in our garden. A big THANK YOU goes out to the resident photographer for capturing this seasons most glorious Summer Highlights. SORRY, we can't tell you where these photo's were taken... That's OUR secret! You never know where you will meet an " artist"! It was in the stands during our children's baseball games that we got acquainted. her and she said,"I make jewelry"! At the next game she was wearing one of her beautiful pieces which instantly got our attention! Our daughter expressed an interest in learning how to make the beautiful beads she was wearing as well as how to finish her pieces more professionally. Carolyn was happy to offer her time and expertise! She was also kind enough to give Nicolette and I some of her finished pieces which are featured here. What I love about Carolyn's work is that her beads look like glass! When I learned they were made from Sculpy clay I was very impressed and wanted to know more about how they were made. I also love the way that her pendents are interchangeable. ~Thanks Carolyn and crew for a great day! I just love old images of times gone by. Especially those from the Victorian age. This one is from an old marriage certificate. It speaks to me because we spend so much time near the Atlantic shore. We honeymooned on Nantucket and near Cape Cod Bay 18 years ago in the month of September. Just looking at this image brings me back to a time when our life as a young couple was much more simple! I think Ann Morrow Lindbergh http://www.amazon.com/Gift-Sea-Anne-Morrow-Lindbergh/dp/0679732411 describes this time in a couples life best... In her book Gifts From The Sea she likens it to the season of spring time.... Everything is new, blossoming, fresh and fragrant and the possibilities seem endless... She was right! As I look back over the last 18 years I am amazed at how fast the years have gone by and how blessed we have been creating our married life together. We are no different than other folks who are raising kids, helping aging parents, making the mortgage and keeping a keen eye on our 401K's and sleeping dreams as we go through life at what seems like the great race against time.. Sometimes we need to just take a pause from it all... It's times like these when we can rely on a ritual or two to help us reconnect, refuel and reignight the passion we once felt more often. Crust: I cheat and use ready made crust 9" deep dish or frozen Pillsbury Pie Crust from the frozen food department. Follow baking directions on crust package. Sea Salt and fresh ground pepper on top before you bake! Mix eggs and milk together in large bowl with wire whisk. Brown onion and ham in skillet until lightly browned. Add cheese,ham and onion mixture to eggs. Pour the egg mixture carefully into your prepared pie crust and place on cookie sheet covered in foil... filling it just about a 1/2 inch below the top of the crust edge. That way if things bubble over while baking it will be an easy clean up! Hey, I'm not Martha.. I spill when I cook :) Salt and pepper the top before putting it in the oven..
cantaloupe and blueberries fruit salad and banana nut bread...Yummmmy!!!! 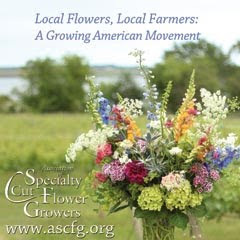 Our new garden was inspired by a recent visit to a place called Cape Cod Lavender Farm http://www.capecodlavenderfarm.com/ on Cape Cod. It is just a heavenly place!... It was just us girls, ( My mom, daughter and a very dear aunt who was visiting from Reno). We soaked up the the scent, scenery and tranquility~ At first I thought I would plant the entire garden in JUST lavender, but I couldn't limit myself to just one flower no matter how intoxicated I was by it! I settled for a bottle of Lavender Body wash and decided to plant a wider variety of flowers. Once I got my head out of the clouds about an entire lavender field in my back yard a garden plan began to evolve! Because it is in the sunniest part of our back yard, I decided to create a bird and butterfly garden with many host plants for each. For starters I planted a Butterfly Bush, Bee Balm ( tall red flowers), Moonbeam Yarrow, Strawberry Yarrow, Orange Meadow Coneflower, lots of Black Eyed Susans (for the birds in fall) several Ornamental Grasses for texture and winter interest, and last but not least, seven Lavender plants. The vintage sink was hanging around in our shed for the longest time until I saw a photo of one placed in the middle of a garden! So there you have it! The sink ( now bird bath) is not my original idea but a darned good one for our new garden and the birds love it! Thanks to my hubby's safe installation it won't tip over due to a metal pole that the sink sits a top! This garden is most certainly a " work in progress" . There is still plenty of bare ground to fill, more" space" to think about. Ah.... my favorite part! Recipe: This cabinet was previously painted so I sanded off any loose paint and went right over it with a fresh base coat. I chose a deep plum shade with a satin sheen for my base coat. Once that dried, I mixed some glaze and black paint together in a small container. 1/2 paint to 1/2 glaze and applied it with a foam brush. 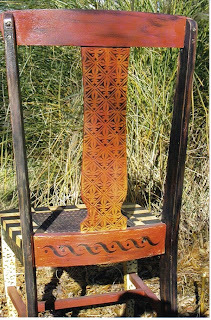 Useing my rubber decorative paint comb I created a long curved design on the door fronts. Using a glaze/ paint mixture allows a longer drying time for the paint as well as " playing" time for experimenting with different designs. If you are starting on bare wood, sand it slightly, use a clear sealer, prime, then apply your base coat. Most artists ( myself included ) dream of a studio OR BARN of their own, tucked away in the woods, the country, by the sea side, over the garage, or in the basement. 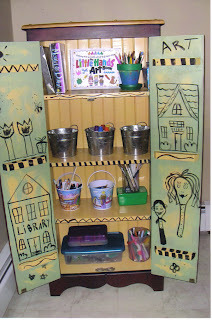 Many of us get by outfitting a little corner of a room for making art when creativity strikes. Since the kids were little we have had this cabinet in our dining room at the ready stocked with tape, glue, paper, buttons, beads, paint, stamps, string, glitter, ( yes, I allow glitter in my dining room) ribbon, fabric, stapler, glue gun etc. Because it has been in our dining room, we have had the pleasure of watching all those fun ideas come to fruition allowing us all to share in the joy of making things together. You'll just feel better! I promise! Get your creative juices going! Take yourself on an artist outing! Some of my favorite places for inspiration are, fabric stores, craft stores, art galleries, antique stores, thrift and consignment stores, flea markets, historic houses, architectural salvage yards, farms and gardens, landscape nurseries, art studio’s, art shows, book stores the library ( free source for all things, home, garden, art and architecture) and more! Just wondering quietly through a special garden, an antique store or a gallery can get me inspired to get going on projects that have been waiting... Creating is like that…A new inspiration is like a breath of fresh air and it tickles your tummy too! Setting up a craft day in your home (or studio if you are fortunate to have one) for friends is another great way to get going on some of those dormant projects or start a fresh one!…You will find that when you set aside time for working on your art new ideas seem to come to you more often while creating. If you have creative kids or teenagers at home, host a " Young Artists Gathering" or organize a "Neighborhood Craft Club" to show your support of your childs " inner artist" . We keep a small cupboard in a corner of our dining room stocked with various art supplies and at the ready the minute an inspiration hits! Daydreaming is an essential part of the creative process… Our minds need stretching just like our bodies do, so pour yourself a cup of tea and let your imagination go… Don’t forget to write down all those great ideas in your Daydreams journal. Is Home Arts a Lost Art? We think not!! This month you'll meet the “artists in residence” at Dandelion House. Spring is here in New England and photo ops are everywhere. Take a peak at “BOZ Scenes” photo of the month, then pack up your camera and head out for your own photo taking journey…Your next masterpiece could be right in your own back yard, or sitting across the breakfast table from you! Lets head over to Dandelion Workshop to see what the Painted Ladies have been creating in the studio. Their pieces of the past have come home to rooste through GOOD OLD FASHIONED IMAGINATION and the art of Decorative Painting! 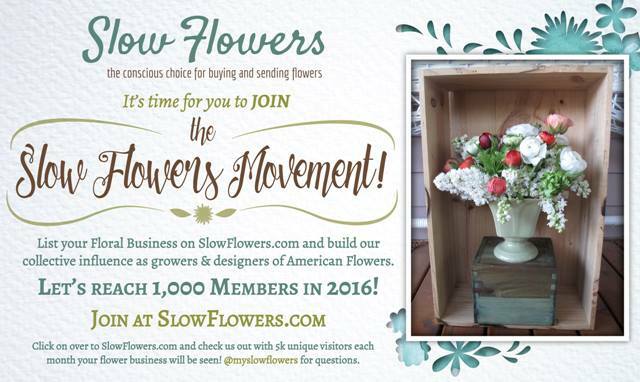 They will share easy, fun and thrifty art projects for your home and garden decorating. All of us carry a little spark inside of us to create, but some times find it hard to light the fire! Just look around…Be awake to the creations you are surrounded by every day in nature and in those things made with human hands. Art is always present for you to appreciate. Take a page out of our daughter’s book… Don’t WAIT for someone to tell you it’s o.k. to share your creative gifts. SING, DANCE, PAINT, DRAW, TAKE PICTURES, PLANT, WRITE, SEW, BUILD, SCRAP, COOK, PERFORM, you get the idea!